Among the start-ups seeking new ways to tap into space's potential is microsatellite manufacturer ICEYE. It aims to cut satellite prices to less than one-hundredth of traditional satellites, using a series of microsatellites partly built with off-the-shelf mobile electronics. 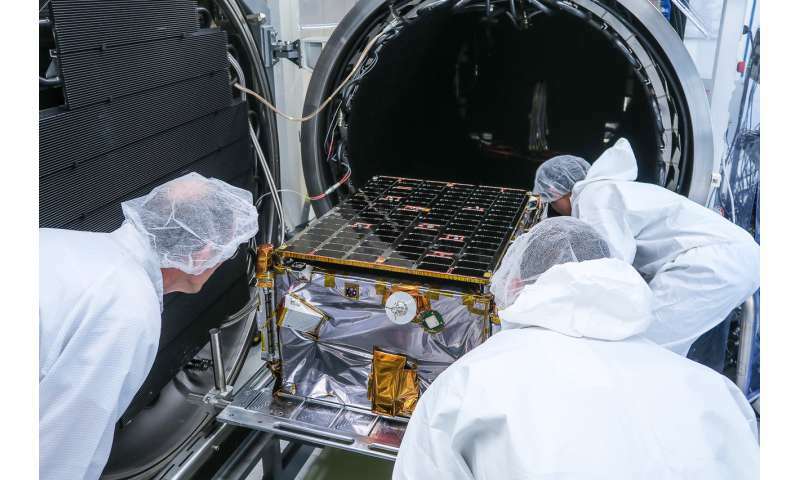 In January, the company sent what it described as the world's first microsatellite based on synthetic-aperture radar—technology that allows satellites to see through clouds and into the dark—into a low-Earth orbit of about 500 kilometres. 'That means you can image in any place in the world at any time,' said Pekka Laurila, CFO and co-founder of ICEYE. There are all sorts of areas in which this could be applied, from agricultural production to tracking climate change, but one of ICEYE's key initial focuses has been ice surveillance for companies involved in Arctic operations – where vessels moving at several knots need rapid updates on ice-field movements. 'That's an area where continuous coverage is extremely important,' said Laurila. At the moment, a lot of satellite data gets lost in transit to and from Earth, or 'thrown overboard', according to John Mackey, CEO of mBryonics, a technology development company based in Galway, Ireland. He coordinates a project called RAVEN, which is working to improve signal transmission. To do so, mBryonics is harnessing a technology called adaptive optics, which is used in telescopes to give astronomers clear images of stars by reducing the twinkle when viewing them through the distortion of Earth's atmosphere. Additionally, mBryonics is seeking to use its technology to create links between satellites, which could help create constellations to intelligently route data in the most efficient way possible. 'Then, if I send my data up to the satellite, it can fire it across the satellite constellation and get me to my destination much faster,' said Mackey.